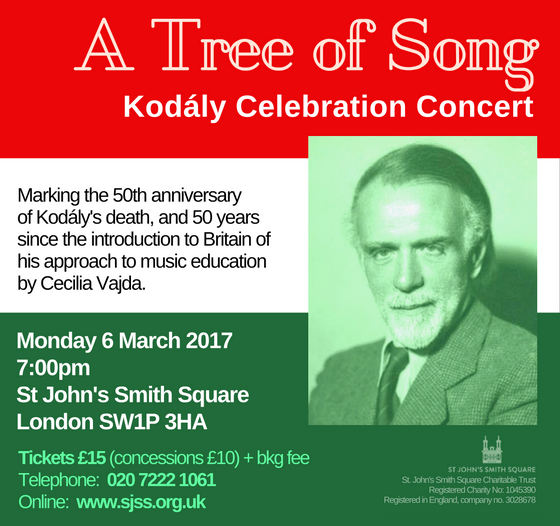 This incredible concert on March 6th 2017 marked the 50th anniversary of the death of Zoltán Kodály and celebrate 50 glorious years since the introduction to Britain of the Kodály approach to music education. Articles and photographs from the day will be posted here shortly. The programme featured young voices from around the UK singing “A Tree of Song” by Bob Chilcott, specially commissioned for the event. 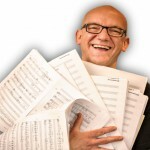 Guest appearances from The Joyful Company of Singers and the Banchieri Singers from Hungary. Conductors included BKA Patrons Dr Douglas Coombes MBE and Dr László Norbert Nemes. This concert is one of many exciting developments planned for the BKA in 2017 but our ambitious programme for the year needs extra funds to cover the costs. Can you help with a donation? Click here to donate, and help share Kodály’s vision by supporting us. We welcome every contribution, big or small.